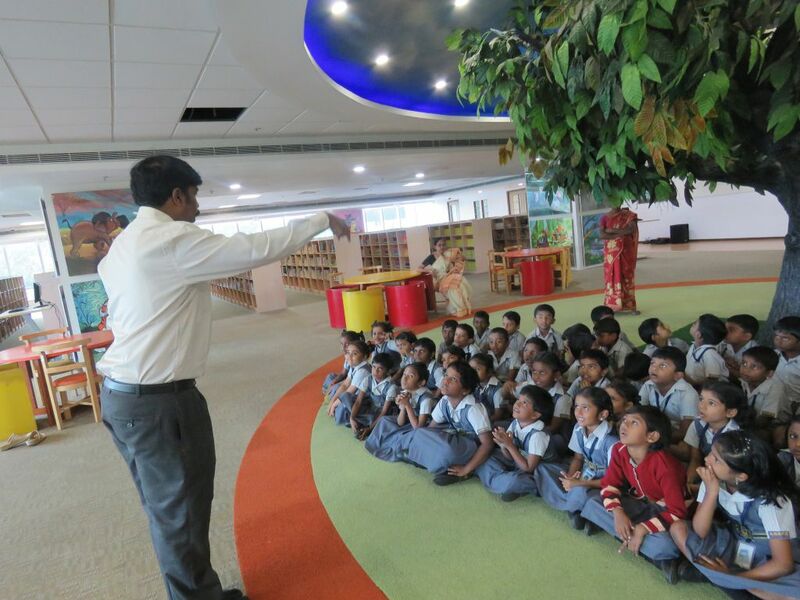 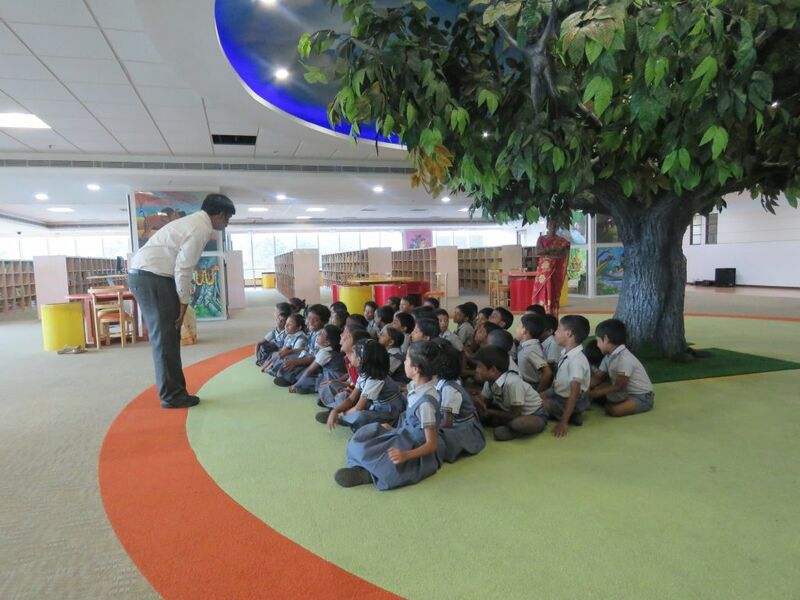 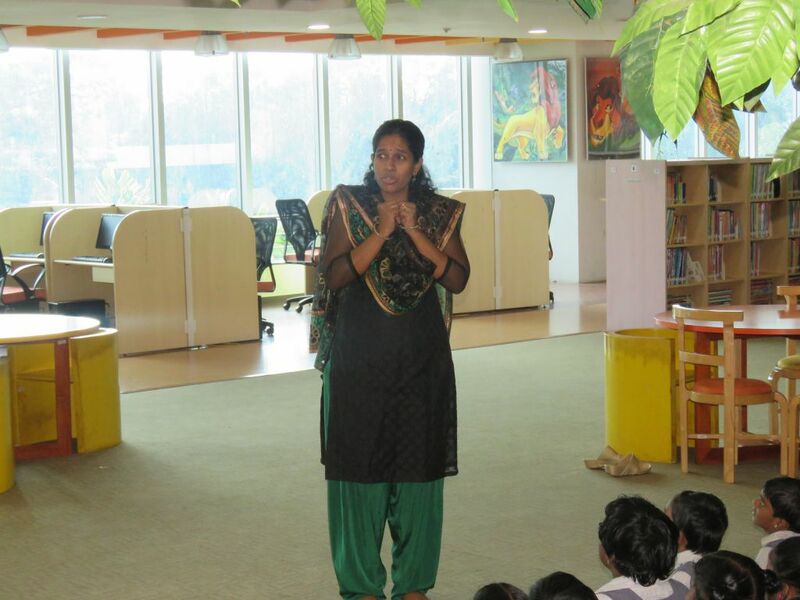 Anna Centenary Library in association with Chennai Story Tellers conducted a special story telling session for the 1st and 2nd standard students of Anna Gem Science Park Matriculation School on 31st January 2017. 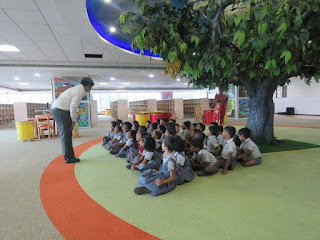 The session was conducted by Alvin and Anusha. 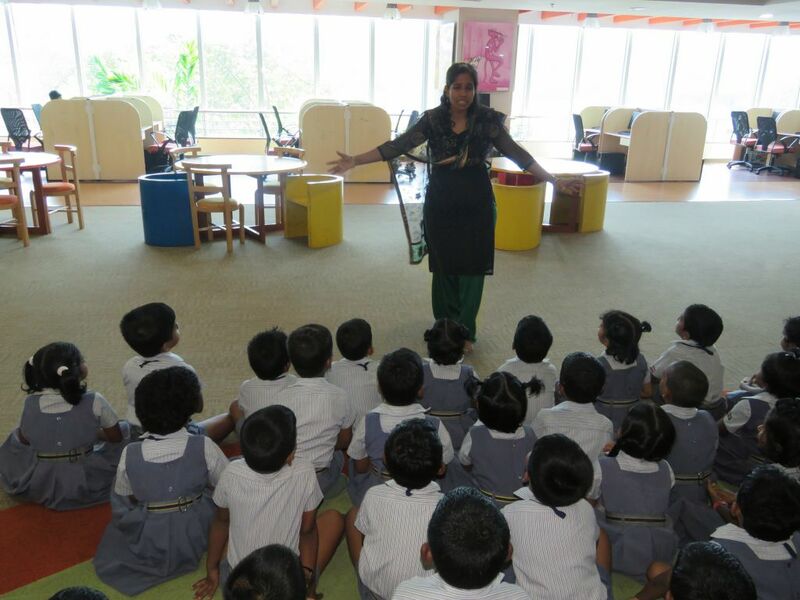 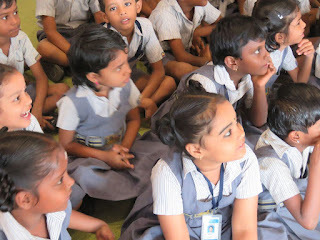 Moral stories were delivered both in Tamil and English. 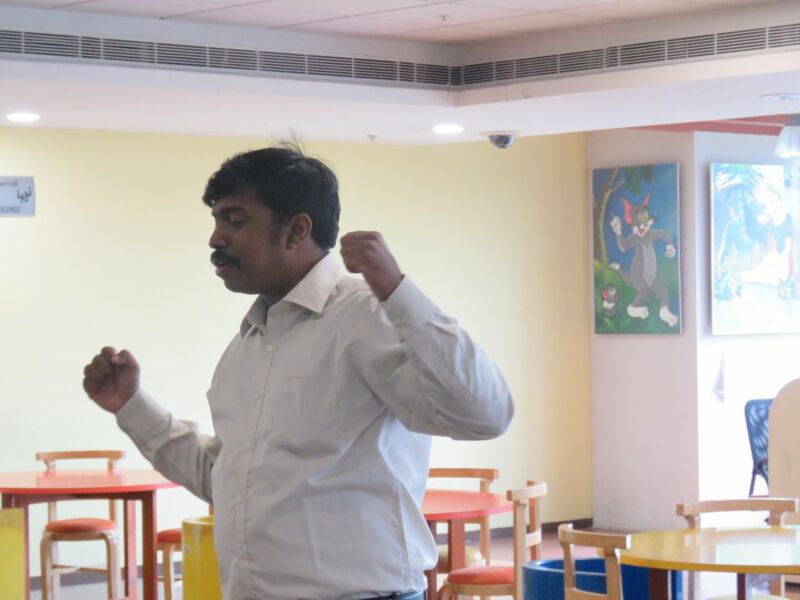 Resource persons' performance with expressive actions and sounds had enthralled the students and they enjoyed the session with more fun.